From Monday 21 May to Friday 21 September, from 9 am to 6 pm, Musée d'Anthropologie Préhistorique : Exhibition on the subject of "The First Nomads of Upper Asia"
From Friday 15 June to Sunday 11 November, from 11 am to 7 pm, Nouveau Musée National (Villa Sauber) : Exhibition on the subject of "Kees Van Dongen, the Artist's Studio"
Looking for an apartment in Monaco? Choose between more than 1800 sales and rentals ads. 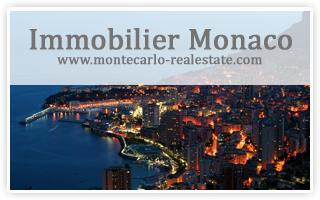 Apartments, villas, houses, shops, business offices... Access to Monaco real estate agencies directory. 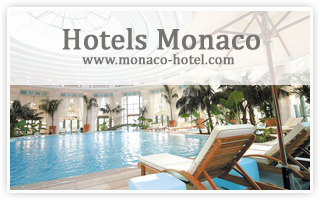 Sunday 2 September, Plage du Larvotto : "Tristar111 Monaco": (swimming, cycling and running race). 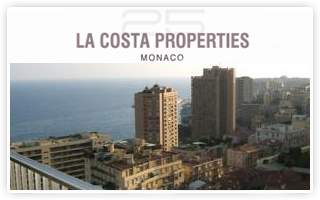 The race starts from the Larvotto Beach and finishes at the Place du Casino. Friday 7 September at 8 pm, Salle des Princes, Grimaldi Forum Monaco : Russian Gala with stars of the Ballets Russes. A "best of" of pas de deux and great classics — a unique evening event that offers the audience a chance to (re)discover Russian culture's passion for the art of dance. Saturday 8 September at 7:30 pm, Salle Yakov Kreizberg, Auditorium Rainier III : Concert by the Monte-Carlo Philharmonic Orchestra conducted by Anthony Arcaini. On the program: Antonin Dvořák, Bedřich Smetana, Gabriel Fauré and, as a world première, "Monaco Fantastique" by Anthony Arcaini. This concert will be given in aid of the Prince Albert II of Monaco Foundation, under the High Patronage and in the presence of H.S.H. Prince Albert II of Monaco. On Friday 14 September, in the Salle Empire, Hôtel de Paris, a gala dinner followed by a fashion show, "Dress to Change the World," by American designer Jeff Garner. On Saturday 15 September, during the day, at the Théâtre Princesse Grace, a mini film festival presented by Women Make Movies with a screening in the evening of "To Catch a Thief," in the presence of Dennis Maguire, head of Paramount Home Media Distribution. 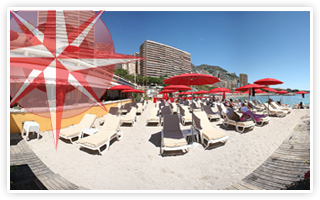 On Sunday 16 September, at the Deck, Monte Carlo Beach, the first "Ladies & The City" Monte Carlo International Hat Contest, presided over by renowned designer Jimmy Choo. From Tuesday 18 September to Saturday 29 September, from 2 pm to 7 pm, Galerie Carré Doré : Collective exhibition on "seascapes"
From Friday 21 September to Friday 28 September, Jardins des Boulingrins : Exhibition of photographs on the theme of "Empreintes de vie" ("Imprints of Life") by people suffering from Alzheimer's Disease from the Centre Spéranza-Albert II, the A Quiétudine residence and from Cap Fleuri, organized by the Monegasque Association for Research into Alzheimer's Disease. Thursday 27 September at 8 pm, Théâtre des Variétés : On the occasion of the 3rd anniversary of the Galerie l'Entrepôt, symphonic concert with the Nice Philharmonic Orchestra. Soloist: Nicolas Horvath, piano. On the program: World premiere of the Concerti for piano by Philip Glass. Enjoy a nice moment beside the sea.